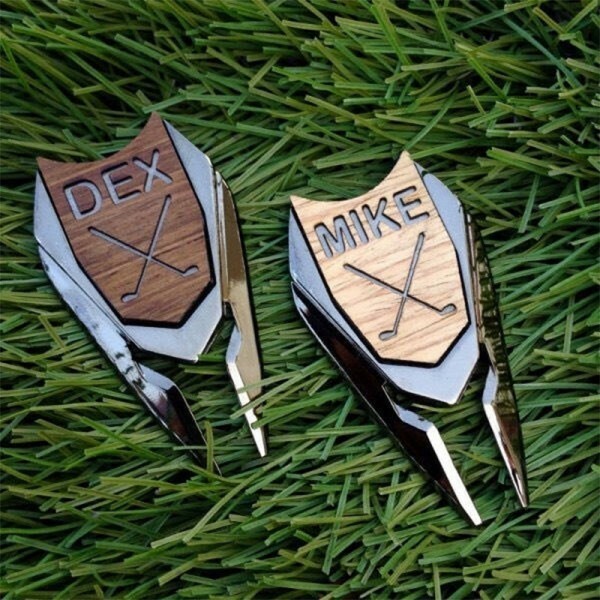 Personalize a wood or metal golf ball marker & divot tool set with a name or initials. Each item will be packaged in a custom gift tin box. 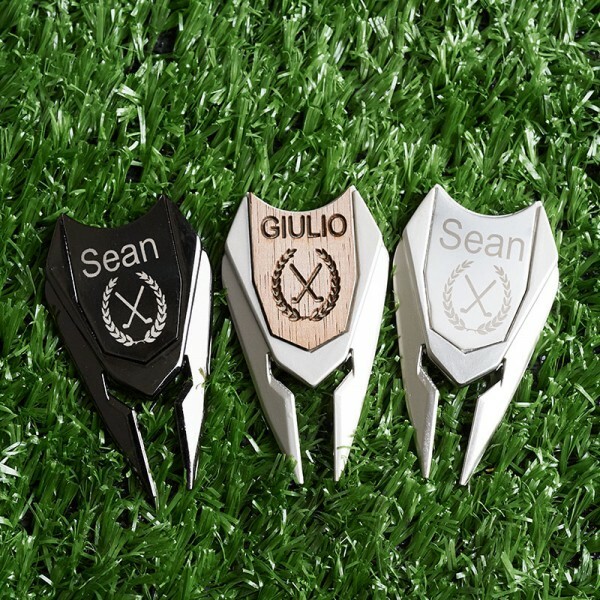 The handy 3 in 1 tool and hat clip cuts down on the amount of golf stuff a golfer needs to take when hitting the links. 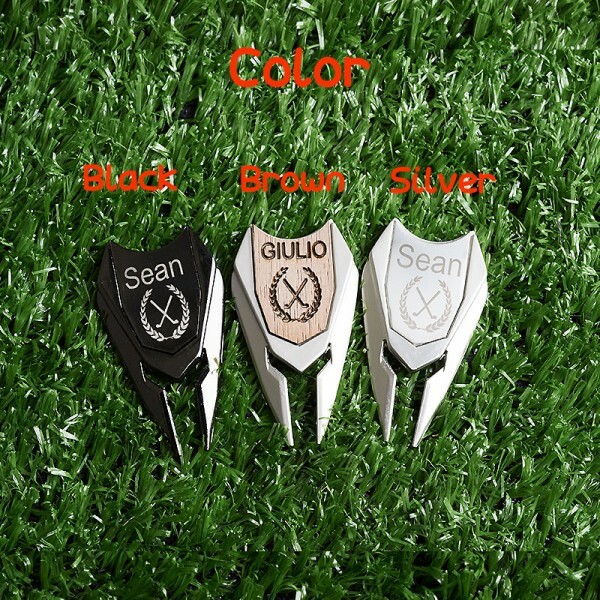 This unique hat clip and divot tool set is handmade in California and is the perfect golf gift for men, Dad Birthday Gift, Husband Gift, Boyfriend Gift, Anniversary Gift or as a special golfer gift. Ordered a month ago and still have not recieved them. Thank god I used PayPal not going through the complaint process with them. Ordeered and paid on 23rd Sept and not a peep since . Needed for wedding on the 17th Oct so not holding out much hope now ! I will be going through Paypal for a refund shortly !! Received in great time and all details were perfect! A+ my dad loved it! Came very quickly. Great quality. received quickly and quality was great! I loved the woodwork. Perfect stuff. This is exactly what I needed! It was a birthday gift and my friend loved it. Extremely fast in making the product and shipping. Thanks so much! Exactly as ordered! Quality is great. Amazing quality & quick shipping. Amazing quality & quick shipping. 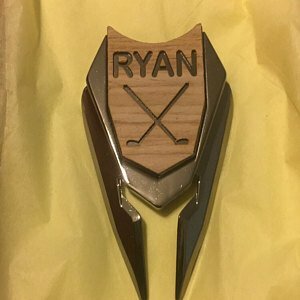 Absolutely love and then perfect groomsmen gift!! Super fast shipping! Item was beautfiul & exactly how discribed/pictured. Seller was very responsive! Thank you. I really appreciate the fast service and beautiful work you do! 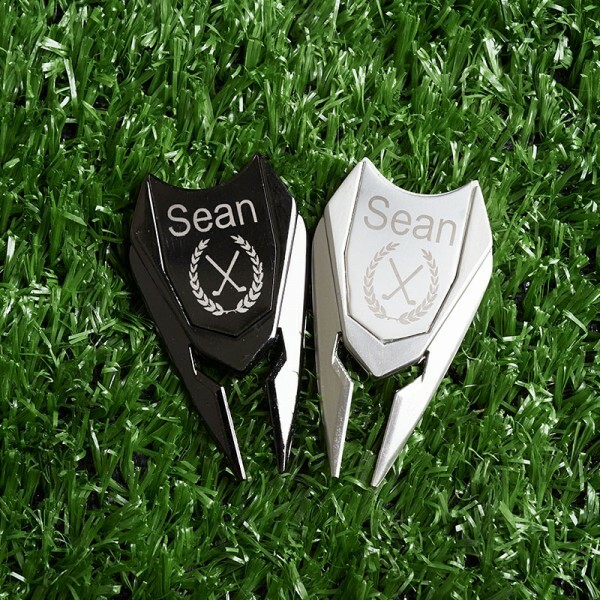 My Husband loved his golf ball marker he thought it was so cool! I really appreciate the fast service and beautiful work you do! Amazing work!! Quick turn around and quality product. My boyfriend absolutely loved it! Great product. It was exactly what I expected and arrived in a timely fashion. It was also a hit with my boyfriend! Extremely fast ship and exactly what my husband wanted! Very pleased!!! Exactly what I wanted and the shipping was so fast! Exactly what I wanted and the shipping was so fast! Thank you so much!! Well done, bought as an add on gift for my best man. It arrived before I even thought to check to see if it had been shipped yet. Arrived promptly and looks great! Thank you! Easy purchase, fast delivery, and best of all, the product is beautiful. Artfully done and solid and sturdy too. Even includes gift box. Thanks! Exactly what we were wanting, great quality! Would recommend! Great quality with fast shipping. Definitely will buy again! Shipped in a very timely manner. Shipped in a very timely manner. My husband loved it! This was a wedding gift and it was perfect! This was a wedding gift and it was perfect! The seller ensured I received this quickly and very great communication. Great seller. Even nicer than the picture shows. 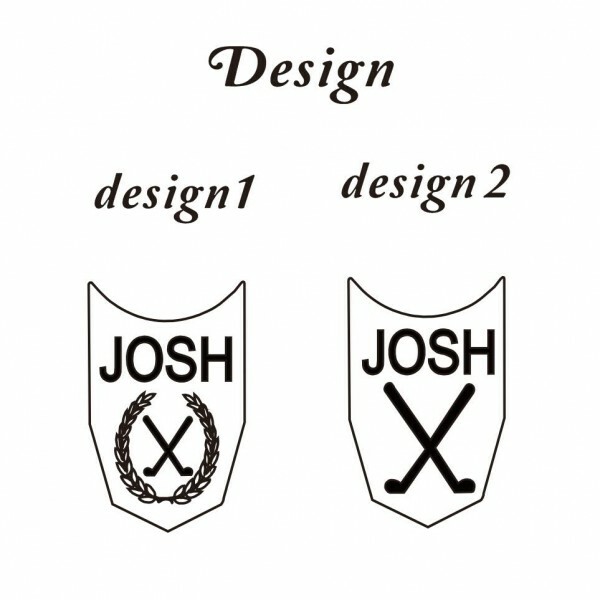 Love the divet remover/golf ball marker. Even nicer than the picture shows. Fast shipping. Thank you! Very nice quality! 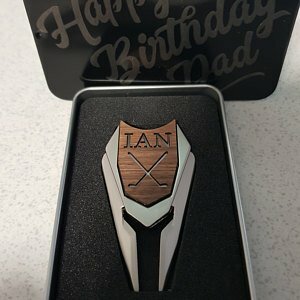 Gift for my dad and he loved it! 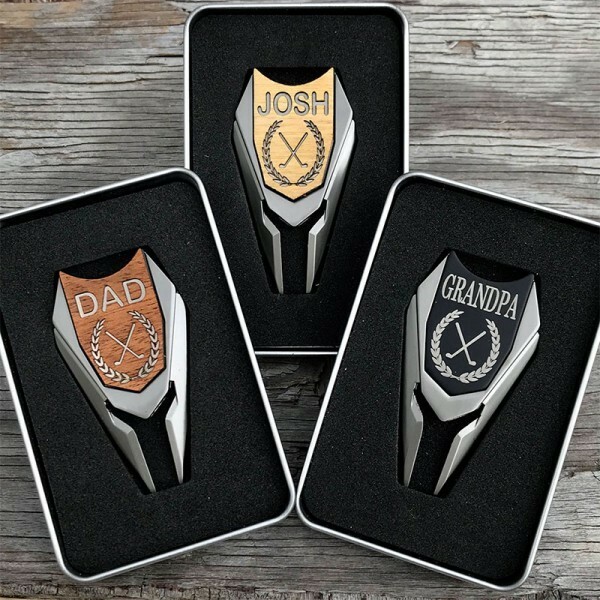 Perfect father of the groom gift! Well made and my husband loved it. Looks great! My husband and father loved their gifts! We ordered this for the father of the groom and it looked beautiful and arrived on time. 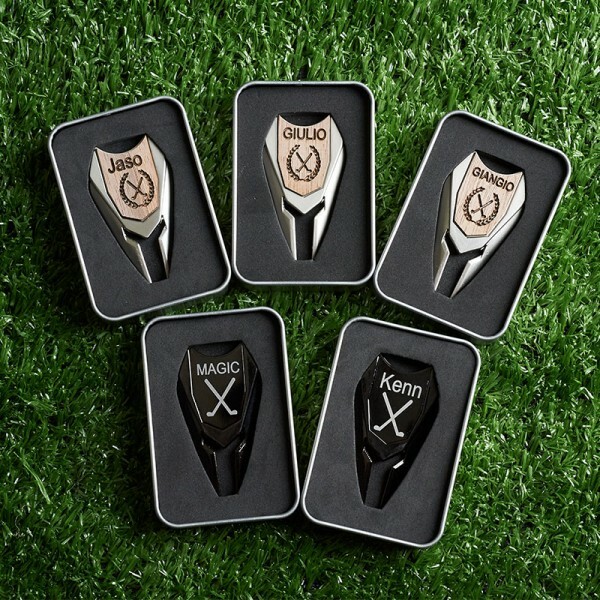 Great quality and very well engraved. Thank you for the great and speedy work! My boyfriend absolutely loved this! Thank you for the great and speedy work! Just as in the pictures and fast shipping. Just as in the pictures and fast shipping. Love them! Great quality with fast shipping. 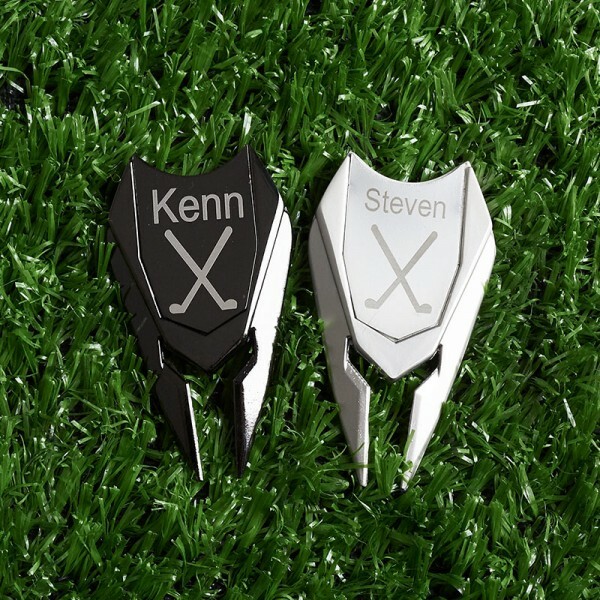 Question about Golf Ball Marker Divot Tool is Successfully Submitted.